Andreas Athanasiou had a goal and an assist in regulation, then scored the only goal in the shootout as the Detroit Red Wings snapped an eight-game losing streak with a 3-2 win over the visiting New York Rangers on Thursday. Pavel Buchnevich scored both goals for the Rangers, who have dropped six straight, including five by a one-goal margin. It's their longest slide this season. 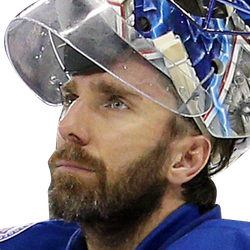 Henrik Lundqvist stopped 43 shots. Athanasiou, the Wings' second shootout participant, slipped the puck between Lundqvist's legs for what proved to be the game-winner. The Red Wings played without leading scorer Dylan Larkin, who was sidelined due to back soreness. New York took a 1-0 lead as Buchnevich's persistence paid off midway through the period for his 14th goal. He took three shots in quick succession and finally beat Howard. Brendan Lemieux, who dug out the puck from the behind and set up Buchnevich, got one of the assists. Brett Howden collected the other one. The Wings got the only goal of the second period. First, Detroit's Darren Helm hit the goal post early in the period, but Bertuzzi tied it shortly after when he redirected Madison Bowey's shot from the point between Lundqvist's legs at 5:46. Bertuzzi's goal was his 16th this season, while Bowey's assist was his first since he was acquired from Washington last month. Athanasiou also picked up an assist. 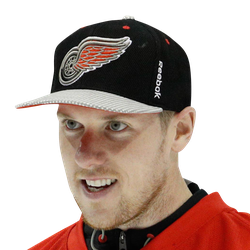 Howard made a quality save six minutes into the third period, which allowed Athanasiou to break the tie seconds later on a two-on-one situation. He skated in along the boards and fired a shot from the right circle into the top corner of the net at 6:15 of the period. Buchnevich tied it at the 14:29, scoring on a breakaway off feeds from Tony DeAngelo and Lemieux. His shot bounced off Howard's chest and fluttered just inside the goalpost.